Konrad Görg asked for and got the story of Erwin Katz. And in his book he passes the story on so that it will not be forgotten. 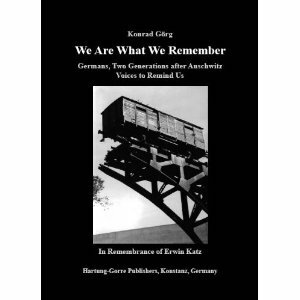 But he does not only tell the story of Erwin Katz – he collects voices and quotes by perpetrators, analysts and victims of persecution from the time before, during and after that period of time. And this collection of quotations reads differently and new against the background of Erwin Katz‘ story. They are no longer just historical comments and analyses, but their effective power becomes concrete in Erwin’s fate. ‚The Holocaust is not six million, but One and One and One and One …“ is stated at the beginning of the book and becomes its guiding principle.